While Google's machine learning proprietary system, TensorFlow is now a core part of its commercial products like Google Voice Search, Google Photos, and YouTube, the company has shared the developer preview of TensorFlow Lite targeting mobile devices. 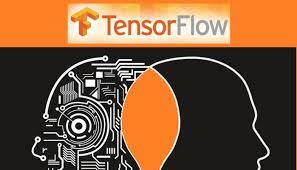 First announcement at Google I/O back in May, TensorFlow Lite is built from the ground up for mobile devices. The company says it's an evolution of TensorFlow for mobile, as it's aimed at creating a more lightweight machine learning solution for smartphone and embedded devices. TensorFlow Lite also supports the Android Neural Networks API, with emphases on a lightweight product that could initialize quickly and improve model load times on a variety of mobile devices. Albeit, this is the developer preview, so isn't the full release, there’s still much more to come as the library is further expanded. For now, TensorFlow Lite is tuned and ready for a few different vision and natural language processing models like MobileNet, Inception v3 and Smart Reply. It’s currently available for both Android and iOS app developers, so developers can take a spin into the TensorFlow Lite now.